Many moons ago, I used to do a fair bit of driving up and down the M3 for work. It was a tedious journey, but made almost into a treat at certain times of year, when the miles of Gorse bush stretching along the road side came into blossom. Its glorious yellow colour gave me a sense of “everything is alright in the world” even when the skies were grey and a tiring day of work lay ahead. Little did I know at the time that Gorse in one of the many flowers / trees used by Dr Edward Bach to make his wonderful flower essences. The Bach Flower essences were developed during the 1920s and 1930s in England by Dr Bach, a renowned physician and researcher, who became disillusioned with conventional treatments, and used his highly developed sense of intuition to tune into the healing properties of a variety of flowers and trees. Dr Bach believed that disease resulted from a conflict between our spiritual and mortal selves. We each have a spiritual purpose in life, and when we are out of synch with this, there is an imbalance, and illness can result. This can come about by our moods and fears but also by the strong influence of other people. The idea of the essences is to release any disharmony, rebalance us emotionally and give us a sense of wellbeing. Dr Bach believed that it should be simple for everyone to use his essences; when someone was hungry, they would go to their garden and pick a lettuce; when they were afraid, they would take a dose of Mimulus (the essence indicated for known fears). Bach Flower Essences are a form of vibrational medicine. The energy or vibration from the flowers gently enhances our own energy / vibrations, and helps us to release negative emotional states. So how can Gorse help us? Gorse is the Flower of Hope. It can help rekindle the hope within us that our life situation, whatever that might be, can improve. We can all go through periods of hopelessness, when we feel like we have come to a dead end. For those who are seriously ill, there may seem little hope of a cure or improvement; some are resigned to lifelong pain. For those out of work even after countless interviews, there may seem no hope of ever finding a job. 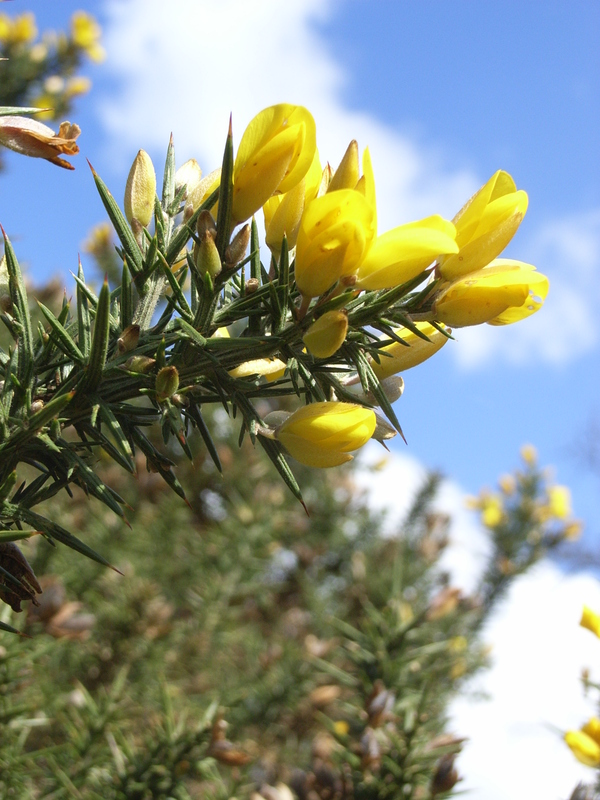 Gorse essence can help restore hope and bring about a more positive outlook. It is also useful as winter months drag on and we feel that that there is no hope of reprieve from the grey and the cold. Gorse brings a spot of sunshine into our lives and with it hope. And lo and behold, then comes spring and with it hopefully real sunshine!